This post is an exclusive scoop. If you’re Lebanese and a raver, then you have definitely heard of Gunther & Stamina. They are two brilliant Lebanese DJs who are famous for their long sets (sometimes up to eight hours) every Saturday at b018, Beirut, Lebanon where they hold a residency every week Thursday, Friday & Saturday as main act. And guess what? They are coming to Montreal on May 29th 2009 to play in club Karma! 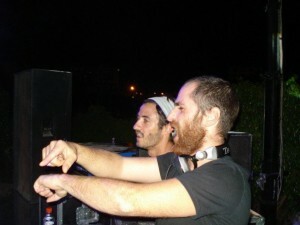 Gunther teamed up with Stamina (Elias Merheb) in 2005, and since then they became well known in the Lebanese rave scene. Their long sets are blended with the latest underground music from ambient minimal to deep House, progressive, tribal, tech-house and techno. They hold as well a week-end star residency on MixFM, the official number one station in the middle-east, every Friday from 20:00 till 21:00 (Underground sessions is the name of the show). Update (May 29th 2009): Quoting unconfirmed sources, the Canadian visa was given late to Gunther & Stamina and the show has been postponed to a later notice. Posted: May 5th, 2009 under Arts, News.